Finland declared independence from Russia on December 6, 1917, leading to a debate on whether the new state should declare itself a republic or remain a monarchy. 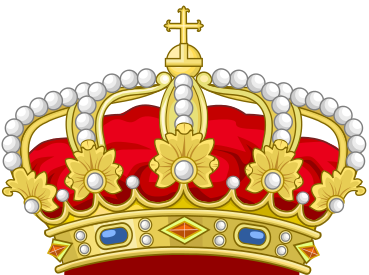 At the time of its Declaration of Independence, monarchists were a minority in the Finnish Eduskunta (Parliament), and Finland was declared a republic. However, after the Finnish Civil War, and while the pro-republic Social Democratic Party was mostly excluded from the Eduskunta, Frederick was elected to the throne of the Kingdom of Finland on October 9, 1918. A primary motive for his election was the belief that, being the brother of William II of Germany, his kingship would solidify Finland's alliance with Germany and thereby afford protection against the Russians. The adoption of a new constitution had been delayed by the Civil War, and the legitimacy of the royal election was based upon the Constitution of Sweden of 1772, adopted under King Gustav III, when Finland had been a part of Sweden. The same constitutional document had also served as the basis for the rule of the Russian Tsars, as grand dukes of Finland, during the nineteenth century when the weakening Sweden lost Finland to the Russian Empire. The reaction of the Bolshevik regime in Russia was thus crucial. Great Britain, the United States, Germany, France and the other Scandinavian countries were initially reluctant to recognize the newly independent Finland, waiting for the Russian reaction. When Lenin's government recognized Finland's independence, Germany, in addition to France and the other Scandinavian countries quickly followed suit. On November 11, 1918, the armistice between the warring factions of World War I, was signed, and only two days earlier William II had abdicated and Germany was declared a republic. Germany's defeat in the war and the stated fact that none of the Allies of World War I would ever accept a German-born prince as the king of Finland, led Frederick to renounce the throne on December 14, 1918, without having ever set foot on his "kingdom." He had hesitated previously due to the circumstances of his election, where approximately 40 percent of the members of the Parliament had boycotted the election. Frederick Charles Louis Constantine, Prince and Landgrave of Hesse (1 May 1868, Gut Panker - 28 May 1940, Kassel), Friedrich Karl Ludwig Konstantin Prinz und Landgraf von Hessen-Kassel in German, was the brother-in-law of the German Emperor William II and the elected King of Finland from 9 October to 14 December 1918. Frederick was born at his family's manor, Gut Panker, in Plön, Holstein. He was the third son of Frederick William of Hesse, the then Landgrave of Hesse, and his wife Princess Anna of Prussia, daughter of Prince Charles of Prussia and Princess Marie Louise of Saxe-Weimar-Eisenach. The elder Frederick, a Danish military officer, had been one (and perhaps the foremost) of the candidates of Christian VIII of Denmark in the 1840s to succeed to the Danish throne if the latter's male line died out, but renounced his rights to the throne in 1851 in favor of his sister, Louise. The elder Frederick was of practically Danish upbringing, having lived all his life in Denmark, but in 1875, when the senior branch of Hesse-Kassel became extinct, he settled in northern Germany, where the House had substantial landholdings. Eighteen days after his own birth, the baby Frederick's first cousin, the then Tsarevna Maria Fyodorovna of Russia, daughter of his aunt Queen Louise of Denmark, gave birth in Saint Petersburg to Nicholas II of Russia, who would become Frederick Charles' predecessor as the monarch of Finland (1894-1917). Philipp (1896-1980) married to Princess Mafalda of Savoy (1902-1944, Buchenwald), had issue. 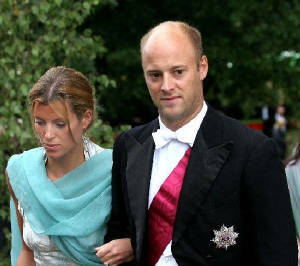 Prince Christoph Ernst August of Hesse (1901-1943) married Princess Sophie of Greece and Denmark, had issue. Upon their father's death in 1884, Frederick's eldest brother Frederick William became the head of the House of Hesse, and afterwards his next brother Alexander. Frederick Charles was elected as the King of Finland by the Parliament of Finland on 9 October 1918. However, with the end of World War I, in light of his German birth and the abdication of Emperor William II of Germany ending monarchies in Germany, the arrangement was quickly considered untenable by influential Finns of the time and by Frederick himself. Not much is known of the official stance of the victorious allies. Frederick Charles renounced the throne on 14 December 1918, without ever arriving in the country, much less taking up his position. Finland subsequently adopted a republican constitution. 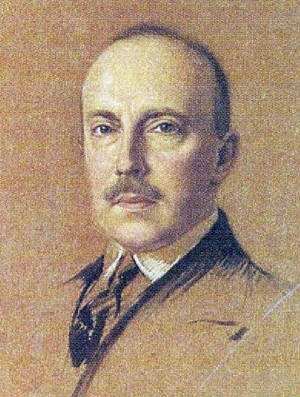 Landgrave Alexander Frederick of Hesse abdicated as the head of the House of Hesse on 16 March 1925, and was succeeded by Frederick Charles, his younger brother. At Frederick's death, his eldest surviving son, Philipp, succeeded him as head. 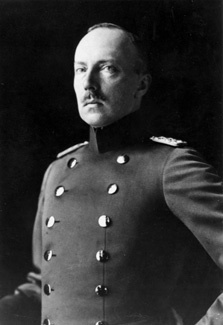 However, according to certain family documents and correspondence, his successor as King of Finland would have been his second surviving son Prince Wolfgang of Hesse (1896-1989), apparently because Wolfgang was with his parents in 1918 and ready to travel to Finland, where a wedding to a Finnish lady was already in preparation for the coming Crown Prince. Philipp was in the military and unable to be contacted at the time. This choice of the younger of these two twins at that time, however is no precedent that in next generations, the kingship would have been succeeded in secundogeniture, putting the eldest son always to the Hesse title (according to Dr. Vesa Vares). On the contrary, it is practically inconceivable that succession of a kingdom would depend on secondary consideration. 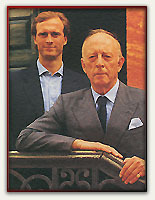 the source Viini 2/2007 (in Finnish) indicates a view that Moritz of Hesse is the current successor, and prince Donatus is the heir. 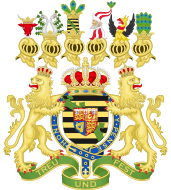 The House of Hesse is a European royal dynasty from the region of Hesse, originally and still formally the House of Brabant. The origins of the House of Hesse begin with the marriage of Sophie of Thuringia, daughter of Louis IV, Landgrave of Thuringia and Elizabeth of Hungary with Henry II, Duke of Brabant from the House of Reginar. 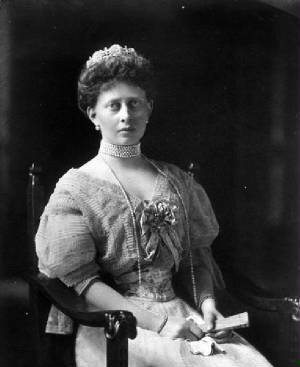 Sophie was the heiress of Hesse which she passed on to her son,Henry upon her retention of the territory following her partial victory in the War of the Thuringian Succession in which she was one of the belligerents. Originally the western part of the Landgraviate of Thuringia, in the mid 13th century it was inherited by the younger son of Henry II, Duke of Brabant, and became a distinct political entity. From the late 16th century it was generally divided into several branches, the most important of which were those of Hesse-Kassel (or Hesse-Cassel) and Hesse-Darmstadt. In the early 19th century the Landgrave of Hesse-Kassel was elevated to Elector of Hesse (1803), while the Landgrave of Hesse-Darmstadt became the Grand Duke of Hesse (1806), later Grand Duke of Hesse and by Rhine. Electoral Hesse (Hesse-Kassel) was annexed by Prussia in 1866, while Grand Ducal Hesse (Hesse-Darmstadt) as lasted until the end of the German monarchies in 1918. Philip I, Landgrave of Hesse, died in 1567. Hesse was divided between his four sons, four new lines which arose: Hesse-Darmstadt, Hesse-Kassel, Hesse-Marburg and Hesse-Rheinfels. The line of Hesse-Darmstadt was also part of the morganatic line of the Battenberg family when Prince Alexander of Hesse and by Rhinemarried to Countess Julia Hauke. 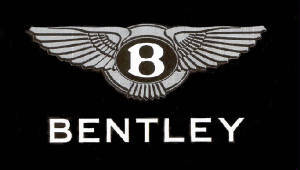 The Battenbergs who later settled in England changed that name to Mountbatten after World War I. 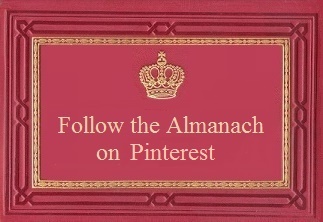 The members of this family bear the titles Prince or Princess of Finland, together with the formal appellation of His or Her Royal Highness. Clarissa Alice, b.Kronberg 6 Feb 1944; m.